Bangkok is one of my favourite places in the world and it is a fabulous place to visit with kids. I love the energy, the vibrancy and the beautiful Thai people. I love how easy they make it to enjoy their city with kids in tow. I also love how good value Bangkok is and how there are so many fabulous hotel options, especially for those of us with kids. 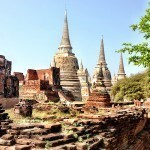 We have stayed in many different hotels in Bangkok over the years – here are some we especially recommend for families! 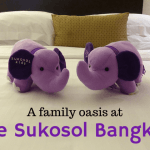 The first of the best hotels in Bangkok has to be The Sukosol. This hotel is so well set up for families, providing contemporary comfort infused with Thai style. Exploring this hotel is an experience itself as there are many artifacts scattered around the hotel from Asia and around the world. 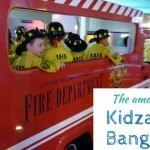 Finding the best hotel Bangkok has to offer means keeping the kids happy. The kids will love being treated as VIPs and are welcomed with a goody bag. 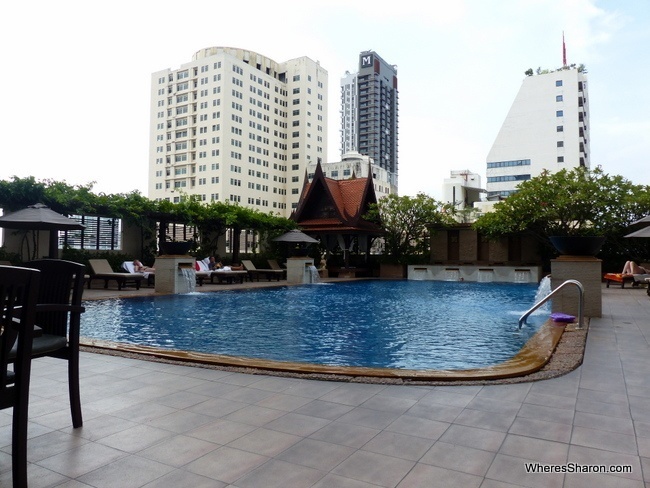 They are also sure to enjoy the large outdoor pool, which is definitely welcome with Bangkok’s heat. This could be the best hotel in Bangkok for food with five diverse restaurants onsite. There is also a fitness center and spa to enjoy a massage and personalized treatments. The Family Room is large and perfect for families, and the hotel provides everything needed from babysitting, bottle warmers and infant bathtubs. Click here to see the latest prices and more information or read our full review here. The next family hotel in Bangkok is the Mercure Bangkok in Siam. Sticking to global hotel chains can be smart in foreign countries, and this hotel is expectably clean and comfortable. The hotel is positioned close to popular attractions in Bangkok, being a 5-minute walk to MBK and surrounded in much of the cultural heritage Bangkok has to offer. The hotel commands impressive views of the cityscape, especially from the Mercure Lobby Bar. The hotel also offers all day dining, a restaurant and three bars in total. Making this one of the best family hotels in Bangkok is the ability for two kids under 16 to stay free in your bed. This also means that Mercure in Siam is the best hotel in Bangkok for families that have older kids and don’t want to pay extra charges. Another of the best hotels Bangkok has to offer is the Pathumwan Princess Hotel. This hotel is located in a position that is hard to beat, being part of the MBK complex and easily accessible to nearby attractions. The hotel is perfect for families that want to explore the very best shopping Bangkok has to offer. It is also useful as a base to explore other areas of Bangkok, being located within reach to National Stadium BTS Station. You will be spoilt for choice at this hotel with five diverse dining options onsite, a tennis court, a huge outdoor pool and a large Jacuzzi for adults to enjoy. Rooms are spacious and provide comfortable accommodation in Bangkok for your family, with extra beds available. This hotel is one of the best Bangkok hotels for a families convenience, having every comfort your family needs whilst in Bangkok, including children menus, baby sitting, cribs and highchairs. Novotel hotels always prove to be of great quality around the globe at a very reasonable price. The Novotel on Siam Square is no exception and provides a wonderful base for your exploration of Bangkok. The hotel is located close to the Siam Square BTS Station, and has some serious perks. The hotels lounge, bars and restaurants have been very well set up to provide a good experience for families. Also making it the best family hotel in Bangkok for entertainment is the three entertainment options onsite. This Bangkok family hotel’s rooms are well suited for families with kids from all ages, with under 16 year olds staying for free in existing beds, and extra beds available at an additional fee. The hotel offers all the luxuries including a spa, baby-sitting service, and late check out on Sundays inclusive, something that many of the best hotels in Bangkok don’t have (but should)! The Grande Centre Point Hotel provides great value for families to stay in comfort during their time in Bangkok. This hotel has sky train access close by, giving access to the night markets and many other Bangkok attractions making it a great location to explore Bangkok. The hotel has huge 2 and 3 bedroom suites, and allows children to stay free in your bed or pay an additional fee for an extra bed. This best Bangkok hotel has more than just a great area to sleep and includes a wellness spa, fitness center and swimming pool for the whole family to relax and enjoy. Note, however, that some reviews have noted construction work nearby, so to ensure that this is the best hotel in Bangkok for you it is advised that you request a higher room. Another one of the best hotels in Bangkok is Centre Point Sukhumvit 10. This hotel deserves this title for many reasons, with the first being its services! Not only is the hotel positioned close to Sukhumvit BTS Station, but a free tuk-tuk service is available to take you. The hotel has very well equipped rooms with toasters, kettles and other kitchenware to make your stay in Bangkok feel like a home, and allowing you to spend a night in if you wish. The hotel rooms include apartments with two and three bedrooms, allowing space for a total of five people. The apartments are spacious, making them perfect for families. 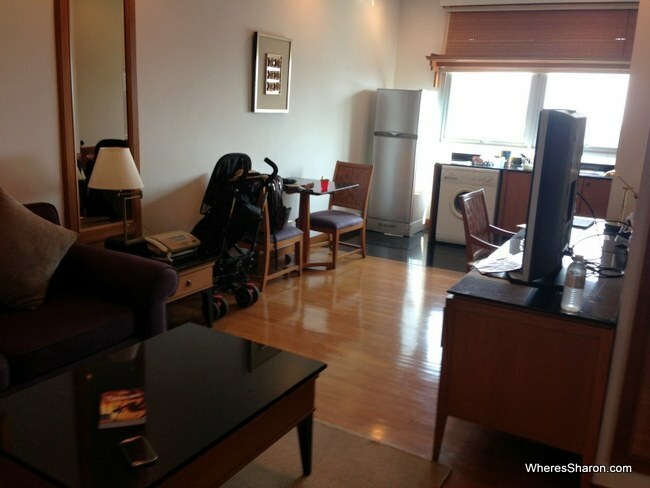 These well-equipped apartments make for the best family hotel Bangkok has for larger families. If you want luxury at a low cost then the Pullman Bangkok King Power is a great Bangkok hotel for your family. This hotel offers proper luxury at a lower cost than would be expected. The hotel services include a free tuk-tuk to the nearby Victory Monument station for you to experience all that Bangkok has to offer both on the sky train and around Victory Monument where there is a great market. This hotel also features a large outdoor swimming pool that the kids will love in the Bangkok heat. There are also six onsite dining options serving both international and local cuisine. The hotel offers connecting rooms and a baby-sitting service on your request, and has practically everything you need either for a full-on or relaxing experience in Bangkok. 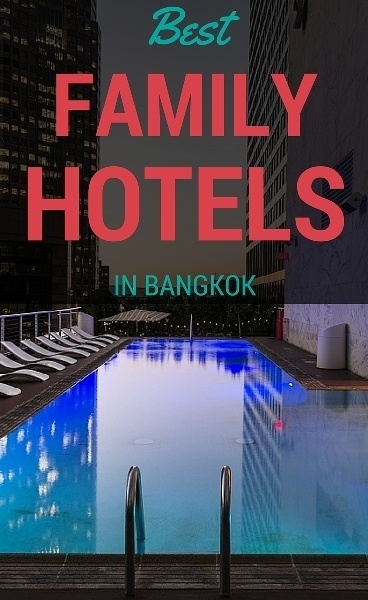 For families on a tight budget, the best family hotel in Bangkok will be one that is both affordable and comfortable. The 507 Residence Bangkok will satisfy both of these requirements and more. This Bangkok family hotel is clean, comfortable and affordable. The hotel is positioned slightly further away from the main attractions, but accessible for exploring Bangkok being between Victory Monument and Victory Monument BTS Station. The hotel features a 24-hour fitness center, a bar and a restaurant, which is great for such an affordable hotel. Guests have reported trouble with the Wi-Fi, however, and if Wi-Fi is important to you (as it is to me), request a lower room. 507 Residence is suitable as one of the family friendly hotels in Bangkok. However, do keep in mind that you do get what you pay for and this is a more simple and budget option compared to others listed in this article. Another solid Novotel option in Bangkok is the Novotel Platinum Pratunam. This hotel is much the same as the one on Siam Sqare, offering simple and contemporary rooms at very reasonable prices. The only question you need to ask yourself is which is the better position for your family. The location of this hotel is perfect within walking distance to night markets and Siam Paragon. It is also positioned above the Platinum Fashion Mall, guaranteeing that you will not miss out on the shopping experiences offered in Bangkok. This hotel offers free family accommodation in Bangkok for children under 15 when they stay in the existing beds, with extra beds are available at a fee. The rooms are tasteful and simple for your family to relax. The hotel also features a restaurant, bar and 24-hour room service. The final hotel in the list of best hotels in Bangkok for families is the Sukhumvit 12 Bangkok. This hotel is a standout as it provides all the necessary luxuries at a lower cost for you to have an enjoyable vacation in Bangkok. Rooms include TV’s and DVD players for enjoyable nights in and are only minutes away from the BTS Station for easy exploration. This hotel is very well located in central Bangkok. The hotel does not lack amenities with an outdoor pool and fitness center. One-bedroom suites are a great option with plenty of room, and children under 12 can stay free in existing beds. Extra beds are also available at a fee. A baby-sitting service is available so that parents can have that enjoyable night out, giving this hotel a top score for family accommodation in Bangkok. Offers two-bedroom suites and located in Siam. Click here for more information. Offers family suites with two double beds and two-bedroom apartments. Located in Pratunam and close to the shopping district. Click here for more information. Offers double rooms with an option for a second bed. Located in Partunam and close to National Stadium. Click here for more information. Offers two-bedroom apartments. 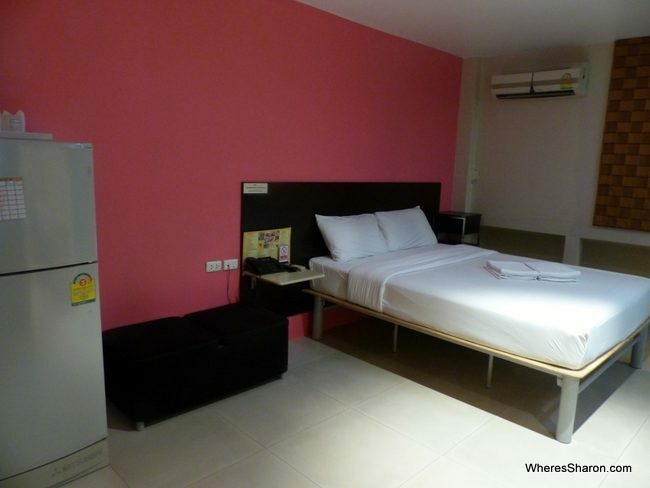 Located in Sukhumvit and close to Thong Lo BTS Station. Click here for more information. 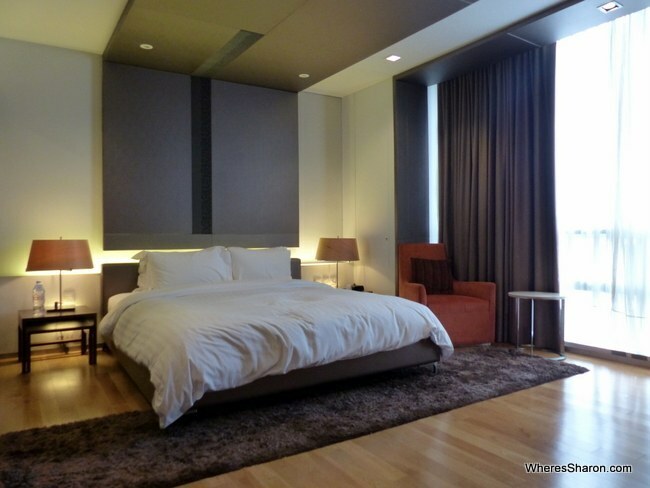 Offers two-bedroom suites and located in Ratchathewi with direct BTS access. Click here for more information. If you need cheaper accommodation in Bangkok for families then you could consider an apartment rental. Apartments usually provide more space and more facilities such as a kitchen and washing machine. Plus it is usually cheaper per night than a hotel room. We find that the best value is from AirBnB apartments. They have more options than other sites, too. Apartments in Bangkok tend to be in complexes with facilities like a pool or gym which you’ll get access to as part of your stay. Many are relatively new as well. Almost all will come with wi-fi included. If you do not have an AirBnB account, use this link to set one up we both get $20 off our next AirBnB stays. https://www.airbnb.com.au/rooms/5424606 – We stayed here on a previous visit. 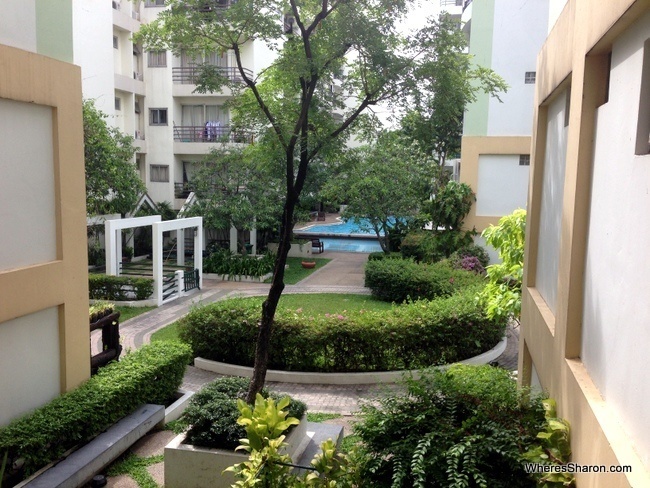 Further out from central Bangkok than others, it is a wonderful 2BR apartment in a complex with good facilities and some play equipment, and close to cheap yet good restaurants, small supermarkets and 800m from the nearest Sky Train (BTS) station. https://www.airbnb.com.au/rooms/4667141 – Right in the heart of Bangkok, this 2BR apartment has up to five beds (including sofa beds) and is in a complex with a pool, gym and has air conditioning. https://www.airbnb.com.au/rooms/4828740 – A central 2BR apartment in a complex with a roof top pool! Close to the large MBK shopping centre which has tonnes of food and shopping. https://www.airbnb.com.au/rooms/4291620 – A little further out, this 2 bedroom apartment is very close to the Ekkamai BTS station and Sukhumvit Road, making it easy to get around Bangkok. Like the others, part of a complex with good facilities. https://www.airbnb.com.au/rooms/2714702 – well set up for families is this large (185 square metres!) 3BR apartment near Nana BTS station. Further out of the centre than some of the others but perfect for larger families and groups. 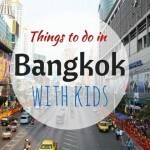 You can also read our full guide to visiting Bangkok with kids. What’s your favourite hotel in Bangkok? Disclaimer: This article contains affiliate links. If you make a booking after clicking on one of these links then we may receive a small commission at no extra cost to you. Thank you! Thanks for the post,very helpful information,keep updating.From my experience Lohasresidence is also best in sukhumvit. The Lohas Deluxe is ideal for both individual travelers and family who require an intimate living space with convenient essentials.hotels in bangkok sukhumvit . Lohas offer a more roomy atmosphere. Great post! We recently stayed in another hotel that is great for adults and kids. The rooms are all differently decorated by the owner who was a professor at the Bangkok Interior Design College. He has artfully designed the rooms with themes. We stayed in the bottle themed room, and car themed room. There is also a room where everything is made of circles including the bed and a jail room that looks like a jail cell. The staff is great and you are within walking distance from the Taskin Bridge, Sky Train and Chao Phraya River. It’s called the House of Phraya Jensen. I highly recommend to your family and others traveling in Bangkok. Kids and adults alike will love it. That sounds like lots of fun! I hope the room was more comfortable than a jail cell and they weren’t too realistic lol!